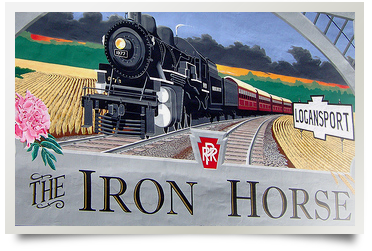 Logansport, Indiana is nestled between the Wabash and Eel rivers in one of the nicest regions of north central Indiana. Offering security, traditional values, and beautiful countryside, the city provides an atmosphere of encouragement and support for those establishing a business. When a community is described as bustling, it often means it's just busy. Logansport/Cass County bustles, but here it means much more. You'll find energy, direction, and activity that respects a spirited approach to living. People here make the most of a beautiful region by focusing on quality of life. Simply put, it's a good place to raise a family, grow a business, or establish a career. The people of Logansport are justly proud of their community's colorful and prosperous past. Today they have ensured that the area's history has been carefully preserved and will serve as a touchstone for the future. The first permanent white settler arrived in the area in 1826, and Alexander Chamberlain immediately established the pioneering ethic of self-reliance and hospitality by building a cabin and providing overnight shelter to travelers. Colonel John B. Duret proposed that the settlement be named for Captain Logan, a Shawnee Indian who had been a friend to the settlers. Chauncey Carter, John Tipton and another early settler, Hugh McKeen, agreed with Duret, but suggested the word "Port" be added because of the town's unique location between the rivers. Hence the name Logan's Port, or Logansport. The year 1828 was a significant one in the town's development, when the forest was cleared from what is now the downtown area. Seemingly overnight a thriving commercial center sprang up. Logansport grew rapidly in the mid 1800s due to its transportation facilities. The Michigan Road, constructed between the Ohio River and Lake Michigan, passed through just as it does today. By 1837, the Wabash and Erie canal originating in Toledo, Ohio, had reached Logansport. In 1840 the canal crossed the Eel River by means of an aqueduct, following the paths of today's Fifth Street, Erie Avenue and Water Street on its way to the Ohio River. This canal, built mainly by German and Irish immigrant laborers, spurred Logansport's early growth and development. In 1855 the first locomotive chugged through town, launching a permanent love affair between Logansport and trains. Less than twenty years later, the canal was obsolete and abandoned because of the "new" transportation. 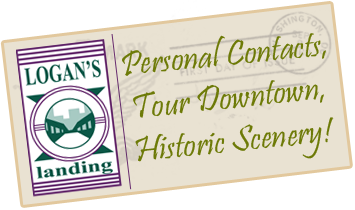 By the early 1920s, Logansport was a railroad town through and through, with some 3000 persons employed by the railroads and handling more than 225 trains each day. With the same fervor that moved its earliest settlers to build their cabins, inns and stores, today's residents work diligently toward a well planned tomorrow while thoroughly enjoying life today. Logansport is situated in the heart of Cass County. The city is served by five major highways that provide convenient access from any direction. Because of its proximity to key Indiana and Illinois cities, Cass County is ideal for fostering continuing economic growth and development. US Highway 24 is a major east-west route that connects Logansport with Interstate 65, about 45 minutes to the west. This provides a quick route to Indianapolis' just 60 miles south, and to Chicago, less than three hours away. Heading 12 miles east, US 24 intersects with US 31, a four-lane divided highway that goes north to Michigan and south to Indianapolis. Further east, US 24 connects with I 69 and Fort Wayne. US Highway 35 heads north to Michigan City and south to Kokomo, where it joins US 31. State Highway 25 also joins 31 to the northeast and connects Logansport with Lafayette to the southwest. State Highway 29, known as the "Michigan Road," provides another convenient route to Indianapolis. Fort Wayne, IN 75 Mi. South Bend, IN 80 Mi. St. Louis, MO 320 Mi. Terre Haute, IN 160 Mi.